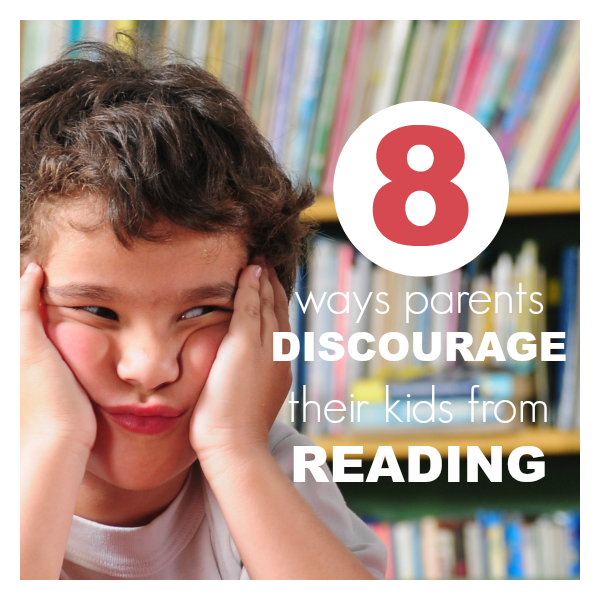 No parent intentionally tries to discourage their child from reading. But sometimes our actions do just that. Kids may be resilient, but they are also really sensitive, and how we handle reading in our homes can work for or against our kids”™ reading attitude. Once a child writes reading off, it”™s much harder to reel them back in and get them to give it a second shot. Here are eight things to avoid . 1. Don”™t put down your child”™s reading materials. Comics and books with crude humor often get dragged through the mud, as do character-driven books. Their choices may not be your favorite, but when you say no to a book, what your child may hear is no to reading. Instead of banning their beloved reading material , find a way to add in some more desirable books into the mix. 2. Don”™t provide the wrong level material. No one likes reading something that makes them feel stupid. If the books are too hard they will frustrate your child. If the books are too easy, they will bore your little reader. You don”™t need to know your child”™s exact level; their interest will let you know. Go to the bookstore or library when you have a chunk of time and let them explore. Take out a bunch of books and try them out. Find favorite authors and read everything they’ve written, then start again with a new author. 3. Don”™t use reading as a punishment. Saying things like “Go to your bedroom and read!” or “If you do that again, I will make you go read.” sets kids up to associate reading as a negative thing. Keep punishments and reading separate. 4. Don”™t forget to give your child books as a gifts. Gifts are special, and starting at birth books make the best gifts – especially if you read them with the person who gave them to you. Book fairs at schools are a great place for kids to get excited about books, and we use them as treats! 5. Don”™t explain to your child they aren”™t really reading yet when they are only looking at the pictures. If we tell our children they aren”™t readers, they will believe it, and to a child this isn”™t as fluid as it is for adults. They don”™t see that reading is developmental, and this blow to their confidence can really stick with them. If they aren”™t decoding words yet, let them know that they can “read the pictures” and tell the story that way until they can read the words too. 6. Don”™t forget to let your kids see you read for fun. Studies show that kids with parents who read often for pleasure are more likely to read for fun themselves. 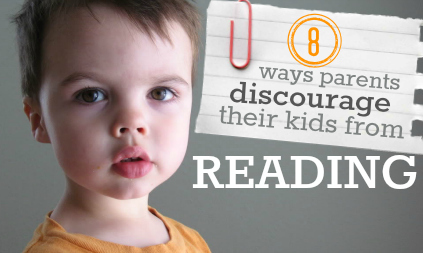 So if you want a kid who loves to read, let them see you reading too. 7. Don”™t over-correct and over-practice. It”™s exciting when your child starts to read independently, but forcing them to read and reread text until they have it perfect is not the most effective way to encourage or instruct. Read with your new reader and help when they ask for it. If they miss a word but the meaning is intact, don”™t interrupt. If the meaning of the sentence is all screwy, wait for a natural pause and ask them, “Did that make sense?” You can revisit the word if it didn”™t. Use the pictures and the rest of the text as clues if the word is too tough to decode. If you have to do this often, the text is too hard for your child. Choose something easier, or if they are insistent take turns reading so there is some fluency being modeled. 8. Don”™t forget to read to your kids. Every day. Even those days when you just want them to go to sleep already!! Check out Scholastic Parents Raise a Reader blog for more simple ways to bring literacy into your family. Together with Amy from Teachmama.com I share with readers tips, tricks and tried and true ways to Raise a Reader. Keeping books accessible to kids is also a great idea. So even for my 9 month old, I keep books in a stand in her room that she can reach and has books in it that are ok for her to pull out, and even chew on a bit. She absolutely loves getting into her books and is a great listener when I do read to her! Such a great point – yes !! 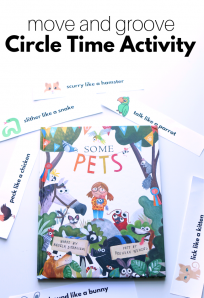 I am a Science teacher and have books of all kids in my classroom, about Science, stories, magazines (most about Science), picture book (about nature), so my students feel free to look at them in their free time after completing an individual task or test. Great list! There are many parents who don’t think graphic novels or picture books are “real books.” I tell them that as long as the kids have a book in their hands, it doesn’t much matter if the contents please the parents. Let your kids read what they want…they’re reading and that’s the important part! Graphic novels are perfect for struggling readers because of all of the inferencing they allow kids to do. This is a great way to make a struggling reader feel better about how much they really do know and to improve their reading confidence. (I speak from experience as a former reading specialist, as an English teacher and as an avid reader). Great post! I would say an alternate title could be How TEACHERS Discourage Reading. That being said, I’ve had great luck with getting kids more interested in “real” books by doing class read alouds. They always fall in love with them and want to read other books from the featured authors. I have controversial thoughts on “leveled” reading. As an upper(ish) elementary school level (3rd) my students have all access to all books regardless of their reading level. I’ve had kids several grade levels below choose “hard books” because they were interested in the topic and “read” the books using the pictures and context clues. They usually picked non fiction books to learn more about a topic they were interested and asked me or a neighbor for help. I didn’t turn them away because they couldn’t read it independently and they got something from the experience. PS – I sent my husband here to get ideas for play for our 2 year old. Your site is super helpful. I have mixed feelings about leveled reading too but understand why they are used . I think ultimately it comes down to the fact that kids are individuals and if parents and teachers can really look at their specific needs we can let them shine. I am always amazed when teachers with classes of 15, 20 or 25 can do this ! These are great tips. My son is in the process of reading independently and it is an exciting time to see him grow and develop. Hi! 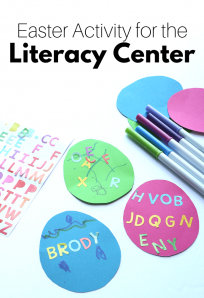 I saw the link on pinterest and as a mom of three under 8 really interested in literacy for my kids, I had to see if I was committing one of these sins! lol My kids, thankfully, all love books so much that we are reading the Chronicles of Narnia before bed each night together besides their regular reading. Being sometimes over-opinionated on this topic, though, I couldn’t help but want to share one thought… I don’t feel that rude or crude humor should be encouraged for small children, but as a parent, it is our job to monitor what ends up in front of them. If someone gave my child a book I thought was inappropriate for them, I wouldn’t feel the least bit sorry about throwing it away the second the kids were in bed that night. My solution is, we provide SO many positive reading options that the garbage isn’t missed. If your kids think Captain Underpants or other books with bathroom humor are funny, I guarantee you they will howl at “My Life As A Chicken,” which is actually hilarious and written in prose and some of the other amazing books out there. You don’t have to tell your kids something is bad, just replace it with something better. 😉 Just giving another option for parents that want the ability to set standards in the home without feeling guilty that they are keeping their kids from becoming happy, healthy readers. I don’t think parents should not set any rules or standards in their home but they need to be prepared for their kids not being into other books. A lot of parents have said ” never in my house” until their kids love reading because of one of these less than proper books. I don’t suggest only giving them these to read but to perhaps think twice before banning something just because you don’t like it. I agree with you Allison. A lot of juvenile humor books (like Captain Underpants) allow budding readers to get their feet in the door. Children’s tastes and appreciation for literature do mature. Parents can set limits for their children as far as reading material goes, but I would encourage them to talk to their kids about books that they may find questionable and not adopt a strong attitude of censorship. My tip would be letting kids choose the books they want to read or borrow from the library. Choice is a powerful motivator for literacy. I have to agree with you too Allison – as an Aunt to an 11 year old who HATED reading (and is really far behind, her Mum just never noticed and until this school term, no one at her school other than the librarian seemed to care 🙁 ), I can happily say that sometimes it’s not just appropriate, but ideal. The librarian at her school self-published a book along the same lines, and I got to watch my niece not just pick up a book, but look forward to it. She’s now reading with so much more confidence, and enjoying it! By the way, great blog! I am enjoying persuing all of your excellent ideas! Terrific list! I especially like the one about letting your kids see you read. I remember those days when I saved reading for “after little one was in bed”… His perception of books changed, once he saw me more engaged with my reading. My suggestion as a parent and librarian–before you ban a book from your home, read it thoroughly (some books with one or two objectionable elements, might overall have a great message when read as a complete work). Then, discuss with your kid, *why* you feel the book is objectionable. This open discussion will allow your kids the freedom to express what they did and didn’t like about the book and will help you guide them to similar reading that will be a better fit for your family. Before your kids can actually decode the words, encourage them to look at the pictures and make up their own story. This builds self confidence and puts them one step closer to reading. Yes!We call those picture stories and my 4 year old is a pro! I read to both of my children from the time they were born and still read to my oldest(7) every single night. I read one to her and then she reads on to me. She is reading at a 3rd grade level in 1st grade. My son is 2 and LOVES books. We probably read 30 books a day. It is his favorite thing to do. Hoping he will catch on just as well as his sister! 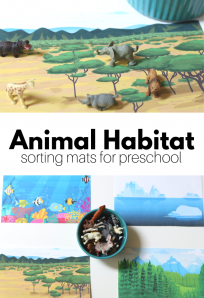 These are great tips and I was glad that I hadn’t done any of these! LOVE this article! Thanks so much for your grea ideas! Absolutely! Particularly number 1. I am so grateful to my parents for subscribing me to a weekly comic when I was 5 (TV Comic, fact fans) and encouraging me with Doctor Who and Secret Seven books when I was 6+. Asterix was also a key influence on my reading at an early age. Never “You should read this. It’s a classic” before handing me Oliver Twist or something. I eventually found my way to all the other books myself BECAUSE I loved reading, and not because they were supposed to MAKE ME love reading. Something I hear over and over especially from men. Thanks for the comment! Thanks so much for these very important pointers! Everyday for every day, loose for lose, hone in for home in and thankyou for thank you are errors I see over and over and over in my editing work. Thanks – I added #8 in after my trusty proof reader had gone to bed. Thanks for the comment so I could fix it! Great list of how parents can help their early readers! As a kindergarten teacher, I see so many parental behaviors that are helpful (like the ones on your list) and some not so helpful. I would like to add item #9, Do not cover up the pictures. Some parents think that forces their child to learn to read by sounding out the letters of the words. So much of what we do as good readers is to glance at the picture or the word for cues and seeing if that fits the context and lends to the meaning of the text. That’s why young readers are able to read “Beautiful butterfly” before they can spell it. “Sliding” through some words help build their fluency as well. I have never heard of parents covering pictures! I can see that happening and why they may think it’s useful. I will add that to another article soon. Thank you! Excellent post! May I have your permission to reproduce this and hand it out at my story times? Yes you may print it as is ( making sure the blog header and my name are included) and hand out. Thanks! I’d also recommend that parents (and teachers) continue to read quality picture books to older children, and allow them to choose those books to read to themselves (or to siblings or student-partners). Because they are meant to be read by adults, to kids, they usually have more advanced vocabulary and more challenging words for a child to read. Some early chapter books have such simplified language, they don’t offer much in the way of advancing a child’s reading skills. There is almost always a well-written story line, and a moral to the story, in picture books. And they can be personalized to a child’s personality … silly, serious, warm, cerebral, etc. Long live the picture book! I missed this comment. Yes! A million times yes. I agree with everything you said except the first sentence. “No parent intentionally tries to discourage their child from reading.” We did all the other things with our children and they are now (at 8 & 10) such book worms that I often have to tell them they are not allowed to read until … (eg until they are ready for school, or have had their shower, or done a chore, etc). It is, however, a good problem to have. My only other difficulty with having a family of readers is the hefty fine that adds up if we don’t make it to the library to return the piles of books we’ve borrowed (& I’ve forgotten to go online and renew them). Being a confident and eager reader makes so much else in life so much easier – and wouldn’t we all want to give our kids whatever advantage we can? I read an interesting statistic the other day that said that the best indicator of a child’s performance at school was whether their parents read to them and this even outweighed other factors like socioeconomic disadvantage. Amazing! I was a bit worried about reading this post that I was going to feel a bit bad but I’m pleased to realise that I’m so far not guilty of any of these things and it’s good to get the tips for when my toddler is a little older and starts to read for himself. …often when I’m reading my own books my son will say ‘read it to me Mummy’ and so I do (obviously editing anything inappropriate as I go). Better than saying no and them eventually losing interest in shared reading right? I’m amazed at how much he picks up from it; he started mentioning Henry VIII and I could not think where he got it from until I realised one of the books I was reading mentioned him. Anyway I’m massively in favor of encouraging children to read. Great post!! Are there parents that seriously do stuff like that to discourage reading? I read the list and I’m seriously confused. I am one of five children and four of us love to read. I cannot conceive of or imagine a parent that uses reading as a punishment (although I hated learning to read with a passion), trips to the library were frequent, and I was never denied to read anything that I was interested in. I mostly read books from the young adult, fantasy, and sci-fi genres. I preferred books that were thicker because I could spend more time “living” the book, the longer it took me to read. I was in college when I saw that a book I had read as a child of about 11 or 12, The Poisonwood Bible, was required reading material in a particular course. I completely agree or somewhat agree with all of the things in this article, except for number 7. I will do for my kids what my parents did for me–if a word is too difficult for to read and/or understand, I will teach them about the word and what it means, then we’ll keep on reading and my child will have more knowledge. Might seem like a silly question, but do parents actually need an article like this to know how to encourage reading? Sounds like you had great role models! Many parents don’t know a lot of what is in this article and I have gotten great feedback from parents and teachers. It sounds like it’s just not for you because you already know it. Candy, I taught in a large suburban high school for ten years, and there are absolutely parents who do these things, even the school system at large does sometimes. I often saw teachers use reading and/or writing as a punishment. The class was misbehaving? “Fine. Read the text and write a 3-paragraph summary for homework tonight. I’ll collect them tomorrow.” I think many parents do similar things. I think the challenge for good parents (like you and me and Allie) is to understand that everyone doesn’t parent like we do. A lot of parents do make their kids read and read and read because they’re not good at reading. They kill the joy of reading by trying to help their kid improve. Do you see what I’m saying? They have good intentions, but they go about it in the wrong way. I think these tips are great. and ebooks. For some reluctant readers these are a great way to get into a series especially the kids who like to check the number of pages before choosing a book. Great point Sarah – ebooks can be such huge motivators for kids and I can see how the visual aspect of seeing how many pages left would have a good effect. Great list Allison. With so many “what TO do” lists, people aren’t always aware of what not to do! Great points. Another thing I do is I ask him to “read” me a story that he is familiar with (a book that we have read 100 times). He knows most of the story by heart, so he flips through the pages at appropriate times and makes appropriate pauses. He is “improv reading” and practicing his memorization and story-telling skills too. I’ll tell you what the real secret is to raising children who read: get rid of that stinking excrescence in the living room, the television set. I think it’s great that your kids have all had an easy time learning to read but many children whether intelligent or not struggle. I agree that limiting screen time is a great step to encouraging your kids to read. I don’t think having intelligent children is a fair point. If a parent rejects book after book, her child is eventually going to get discouraged and think reading is a drag because he’s never allowed to read anything he likes. That has nothing to do with being intelligent or not; it’s about his interests being minimized. Like Elinor, there are a few things I don’t allow. I especially don’t allow books where the characters consistently model bad (gossipy, cruel, nasty) behavior. There’s a particular book series that I abhor (because it’s mindless twaddle) and refuse to read aloud. However, I’ve told my daughter that when she learns to read well enough, she can bore herself with them if she wants to. I would cringe if she did, but she probably will just because it’s the forbidden fruit. I guess my point is that I think you don’t have to allow everything, but have to meet your kids where their interests are and help them to find cool substitutes that they can get excited about. My 2-year-old pretends to read (or reads the pictures), and my 6-year-old reads well. They both love to be read to. They would both choose to sit with me and read over time in front of the tv without exception. When you remove the struggle over tv time, you remove its draw. Wonderful points! Definitely agree that you should not put down anything they choose to read. My brother wasn’t a big reader when he was younger, but my mom allowed him to read comic books, and that was the gateway to his present love of reading. His favorite? Political and historical non-fiction. And it all began with a love of comic books! I have a 4 year old and we have been teaching her letters since she was 1,5, because she showed interest in letters. She can now read words that she knows and write her name. Having said all this, I loved your tips and found them very useful! My parents pushed a lot of reading to me, and I hated it at first, but soon discovered the beauty of the written language and never stopped reading ever since, and in fact am a self-proclaimed book addict! I am trying not to push my children to read, and instead use their natural curiosity to enourage reading and make it fun. At first I was against comimc books, but now would probably accept them as well if it would make them read. We have tons of books in multiple languages and my children love them, and so do I.Thank you for this post and I will be a more frequent visitor on your blog! I think encouraging kids to read books that might be “slightly inappropriate” can be a lesson for them. I know many parents hate the Judy Blume book, Blubber, but my mother got me the book anyway (though I have a feeling that she might not have know what it was about). I think I was one of few girls in my Grade 4 class who owned it (I also read the other “controversial” Judy Blume books like “Are You There God? It’s Me, Margaret”). Hi there, I just read this post now – and love it! I am sharing a couple of points from this list, along with a link to the page, on my parenting page on Facebook at http://www.facebook.com/ConsciousParentingApproach – inviting you and your fans to pass by and say Hello to us! See you there!! Any suggestions for a preschooler who has decided she doesnt like books? She loves the library and talking about letter sounds but is not interested in letting me read to her. She will on rare ocasion ‘read’ to me. Our nightly story time is ether spent going through the books she is not interested in (we have hundrads) or coloring. So sorry this got flagged as spam! Yes I would keep going to the library, try story time, and maybe even let her read alone after you say goodnight for a few minutes. Reading is a means to an end. If we can find the triggers which inspire the potential reader then we can find the words that provide the solution to the conundrum. I am a great believer in the use of games to inspire reading. It could be the instructions on the lid of a box or the recipe to a favourite food, the poster of an idol. Actually my father discouraged me from reading. He felt that it was not something that I should enjoy. I should have been playing sports according to him. So I would have to read in secret. Oh the joys of hearing him saying what a disappointment I was because he could not brag about my athletic achievements to his friends. Please can I take this opportunity to share our blog http://beyc.co.th/blog/2014/08/the-benefits-of-reading-with-children/ where we discuss the importance of reading and reading activities. Reading is the founding blocks of all education. It spurs creativity and drives knowledge. Without having a love of reading, all the other subjects become so much more difficult to learn. Thanks for this post. I will share it with the parents at our kindergarten. Point 3 really made me smile. I have asked all the teachers to stop punishing children and threatening them with time outs. I now say “If you don’t listen carefully I might have to take away your writing time” It is amazing how children react to this and how we create negative stigmas in children’s minds that really needn’t be there. Great article and the comments make interesting reading too. Our eldest (8) is an advanced reader for her age and we do struggle sometimes to find books that won’t be too easy for her where the content is appropriate. Thankfully there are some great middle grade books out there that provide great stories without being all about boys and snogging! And of course the classics are appropriate too. Telling her that something is unsuitable doesn’t kill her passion for reading at all and I confess I did confiscate her Horrid Henry books for a while because they seemed to instigate a particularly nasty bout of behaviour and name calling towards her sister. She had them back when she’d learnt that just because Henry gets away with it, it doesn’t mean it’s appropriate behaviour for her. I also have gripes with the Rainbow Magic books (she moved on from these a while ago, but her sister enjoys them now) which are formulaic in the extreme, but I wouldn’t ban them. Rather I just encourage a different book after one has been finished instead of moving straight on to another RM book. Our middle child (5) is doing well with her reading, but isn’t an instinctive reader like her sister. She struggles a bit with words that have to be learnt by sight. She also wasn’t as keen generally on learning to read. But we’ve encouraged her by letting her read anything she shows an interest in (tickets, menus, signposts etc). I think if children can see the purpose of learning to read it ignites a spark. Now, with this encouragement and some books that have fired her imagination, I can see her starting to develop a real love of reading and it’s great. We’ve always had books around and they’ve seen us reading and know that we love reading. The television has a place in our house, but it isn’t allowed to take over. The only time they don’t have a bedtime story is when they’ve had a late night. I was interested to hear from a teacher at school that being a good reader doesn’t just impact on literacy skills, but also has an effect on numeracy and other areas too. When I run an author workshop in school I can pretty much pick out the children who are avid readers by their vocabulary and ideas, though the other children can have good ideas teased out of them too given half a chance! Great points. Reading the pictures is one of the ways that kids learn to read and is encouraged in the classroom I’m observing in.